Sanderson & Co. are delighted to welcome Dr. Andrea Salin as the latest member of our team. Andrea will be working with us as a Technical Assistant and completing his training as a Chartered and European Patent Attorney. 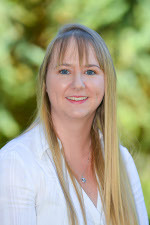 Andrea has a background in Mechanical and Aerospace Engineering and has previously worked with a leading London firm. His previous experience has seen him work with a range of clients in industry sectors such as oil and gas exploration drilling systems and tools, medicament dispensing devices, thermal insulation systems, power cutting tools, automotive, IT, aircraft and aerospace. If you would like to discuss any aspect of managing your Intellectual Property portfolio please contact James Sanderson or Jerry Walder on 01206 571187. On 24th November 2016 The Institute of Trade Mark Attorneys (ITMA) became the Chartered Institute of Trade Mark Attorneys (CITMA), following the unveiling of its Royal Charter. The Royal Charter was awarded to CITMA by The Queen at a meeting of The Privy Council in recognition of its important role in representing the specialist work of trade mark attorneys in the UK. The Charter recognises the role of trade mark attorneys as specialist legal experts in the field of trade mark and design law. Chartered Trade Mark Attorneys provide advice and risk assessments regarding company names and all aspects of branding protection. Their specialist knowledge can provide a commercial view and strategic advice to make sure that a company’s trade marks are registered correctly, and appropriately for maximum benefit. BSc, CPA, EPA, CTMA, ETMA. For more information about the role of CITMA visit www.citma.org.uk. Please be advised that as of 4th March 2016 Sanderson & Co has moved from 34 East Stockwell Street, Colchester, CO1 1ST. D2, Knowledge Gateway, Nesfield Road, Colchester, CO4 3ZL. Our telephone and email contacts remain the same. Please update your records accordingly. What does the Intellectual Property Act 2014 mean for you? The Intellectual Property Act 2014 (the Act) will start to come into force on 1st October 2014. The Act seeks to modernise and simplify Intellectual Property law and introduces a number of changes, particularly to UK design law and practice largely as a result of the 2011 Hargreaves Independent Review of IP & Growth. One of the main changes relating to design law is that intentional copying of a UK or European Community registered design will now be a criminal offence. The “infringer” must be aware or have reasonable grounds to suppose that the design in question is registered and so there is an increased importance to indicate the existence of IP rights on products. The maximum penalty for infringement will be 10 years imprisonment or a fine. Another important change which seeks to bring UK design law into harmony with European Community design law relates to commissioned designs and ownership. The change ensures that, unless there is an agreement to the contrary in place, the actual designer will be the owner of a design created under commission rather than the commissioner. It is therefore important to make sure that written agreements are in place before a design is commissioned to establish clear ownership. Several further design law changes include a new Design Opinion Service operated by the Intellectual Property Office and the implementation of defences to infringement of a UK unregistered design. In order to recover damages in patent and design infringements it is important that enough information is provided so that an infringing party cannot claim to be unaware that a patent or registered exists. To ensure that an infringing party is aware of existing rights, the patent or registration numbers and the country where the right exists must also be indicated. In this regard, the Act now stipulates that it is sufficient to provide a web address on the product allowing the relevant information to be accessed online. So far as patent law is concerned the Act will enable the UK to implement to Unitary Patent Court Agreement (UPCA) for the introduction of a unitary patent covering all member states of the European Union. The implementation of a unitary patent in due course is likely to have a significant positive impact on the costs and procedural efficiency of obtaining protection throughout the EU. Further patent law changes include expansion of the IPO Patent Opinion Service to consider a range of validity issues not solely limited to novelty and inventiveness and the power for the Comptroller of patents to revoke a patent on his own initiative if an Opinion finds a patent to lack novelty or inventiveness. For more information concerning the IP act 2014 and how this could have an impact on your business please contact us. The UK Patent Box allows companies to apply a lower rate of UK Corporation Tax to profits related to their patents. The relief is currently being phased-in with the full benefit of 10% Corporation Tax being available from April 2017. To qualify for Patent Box a company must have been involved with the development of the patent, or a product or process related to the patented invention, and must own or exclusively license the patent. All granted UK and European patents, as well as patents from certain other countries in the European Economic Area, qualify for Patent Box regardless of when they were granted. The sale of patented products or a product incorporating a patented invention including the sale of spare parts of such products even if the spare part itself is not patented. Licence fees and royalties from a right granted over the patent. Proceeds from the sale or exclusive licence of the patent. Income received as compensation for patent infringement. A notional royalty where a patented process or patented tool is used to generate profits that would not themselves qualify for the Patent Box relief. Could Patent Box work for you? Previously it may have been felt that it was not worth the expense of applying for a patent, especially if the product was likely to have a relatively short life span. Depending on your current Corporation Tax liabilities, with the total cost for securing a direct UK patent typically being around £4000-£6000 + VAT, the Patent Box may make acquiring patent protection extremely cost effective. The Patent Box also shifts the focus of patent protection away from trying to establish as broad a protection for the product as possible. A more narrow focus can make it easier to get a granted patent while still allowing a company to make a claim using the Patent Box. However, potential users of the scheme need to bear in mind that a patent application must be filed before any public disclosure of the invention takes place. You cannot wait until you are sure you have a commercially successful product. For more information and advice about patent protection, please contact Sanderson & Co. Your Intellectual Property (IP) rights can provide a number of significant benefits to your company. The most obvious benefit is that they can prevent your competitors from copying your products or brands, but they can also be used to generate revenue through licensing or selling your IP rights to others. In our previous three posts we have discussed Generating IP, Obtaining IP rights and Avoiding IP rights; in this final post in the series we discuss ways in which Sanderson & Co. can help you with Leveraging your IP rights. If you are aware of your competitor’s products and brands, then you can be in a better position to assert your rights against those products and brands. Sanderson & Co. can monitor the products and brands of your competitors and can help you to identify potential infringements. We can also provide an assessment of the strength of your IP rights and advise on the likelihood of there being an infringement. Do you want to compromise? Sometimes the most appropriate approach is to grant a licence or assignment of your IP rights to a potential infringer. Sanderson & Co. can assist with negotiating licences or assignments of IP rights, and we can be on hand to review licence and assignment agreements to ensure that they are suitable for your needs from an IP perspective. We can also work with solicitors on the wider commercial aspects of a deal. Ultimately it may be necessary to assert your IP rights against others. However, this must be done in the right way so as to be effective and so as to avoid you being accused of making groundless threats. At Sanderson & Co. we can help you to assert your rights in the right way, for example by sending appropriately worded warning letters. We can also assist with providing arguments to present during court proceedings for infringement actions. The above are just some of the ways in which Sanderson & Co. can help you to achieve your GOAL of a comprehensive IP strategy. If you would like any advice regarding Leveraging IP or any of the other topics in this series of blogs, then do not hesitate to contact Sanderson & Co. to book a free 30-minute consultation. Please remember to mention this blog when booking your consultation. 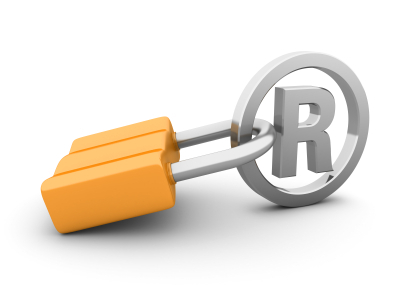 Intellectual Property (IP) rights can be a powerful tool for your business, but also for your competitors’ businesses! Your business needs to be aware of what other people are doing so that you can avoid infringing their IP rights, find ways to work with them or oppose their rights when necessary. In this four-part series of blogs we will explain how we can help you to achieve your IP GOAL. In our previous post we discussed Obtaining IP rights. This week we discuss ways in which Sanderson & Co. can help you with Avoiding the IP rights of others. Do you know what IP rights your competitors have? If you are aware of your competitors’ IP rights, then you can be in a better position to avoid infringing those rights. Intellectual Property searches for existing IP rights are a good starting point to enable you to identify the IP rights of others. These searches can be tailored to a particular product or brand and to particular competitors. As well as carrying out IP searches, Sanderson & Co. can also monitor the various IP offices’ registers for IP rights being granted to your competitors. We can help you to identify IP rights that may affect your business, and help you to avoid those rights by suggesting ways to “work around” them. Can you reach a compromise? Would licensing be a solution? We understand that sometimes it is not possible or desirable to work around the IP rights of others. In these cases, you may be able to seek a licence or assignment of the IP rights in question. Sanderson & Co. can co-ordinate the negotiation of licences or assignments of IP rights, and we can be on hand to review licence and assignment agreements to ensure that they are suitable for your needs from an IP perspective. IP rights are not infallible and it may be that the IP rights granted to your competitors should not have been granted to them. At Sanderson & Co. we can help you to challenge the IP rights of others either at the IP office in question or during court proceedings. For example, European patents can be opposed during the nine months following grant of the patent. Trade Mark applications can also be opposed after registration. Sanderson & Co. can file these oppositions so that spurious IP rights can be cancelled. We can also assist with providing arguments to present before or during court proceedings. If you would like any advice regarding Generating IP or any of the other topics in this series of blogs, then do not hesitate to contact Sanderson & Co. to book a free 30-minute consultation. Please remember to mention this blog when booking your consultation. In our next piece we will be discussing Leveraging your IP rights.